How To Build Beautiful Custom Acoustic Sound Panels - For Under $50 each! 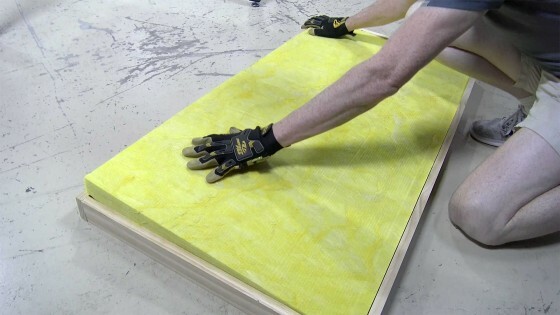 Home > Episodes > How To Build Beautiful Custom Acoustic Sound Panels – For Under $50 each! How To Build Beautiful Custom Acoustic Sound Panels – For Under $50 each! 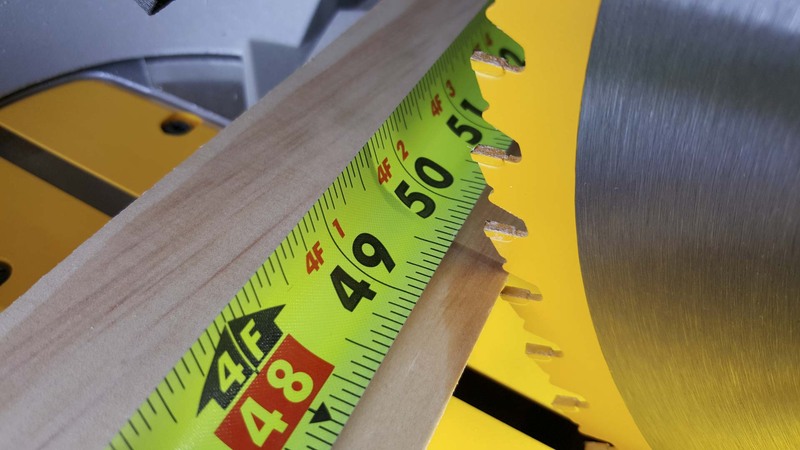 August 31, 2015 by John P.
If you’ve got a room that has a lot of flat hard surfaces, and you really want to cut down on the echo, there are a couple of options. You can buy a bunch of that nasty gray eggcrate foam and glue it to the walls, or you can spend a little time and effort building something beautiful that will not only look better, but actually do a better job of deadening the room. I’ve got two examples here, first, a plain white sound baffle I built for under $30, and next a much nicer version that cost about $50. Lets take a look at how to build them. 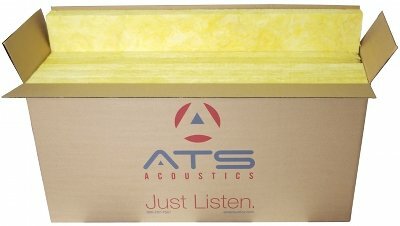 ATS Acoustic Panel on Amazon – Ivory, Natural, Burgundy and Black. $52 each. 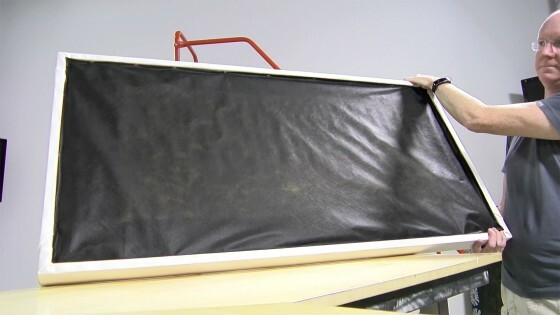 First up, these sound baffles are constructed around standard Owens Corning 703 2’ x 4’ x 2″ Fiberglass Boards that you can get from Amazon in a pack of 6 for about $100. Head on over to your local hardware store and pick up some 1” x 3” hardwood. I used 8’ pieces, but if you’ve got a bigger vehicle and can get longer ones you’ll save more by wasting less. For each baffle you need to cut 4 pieces that will go together to become the frame. 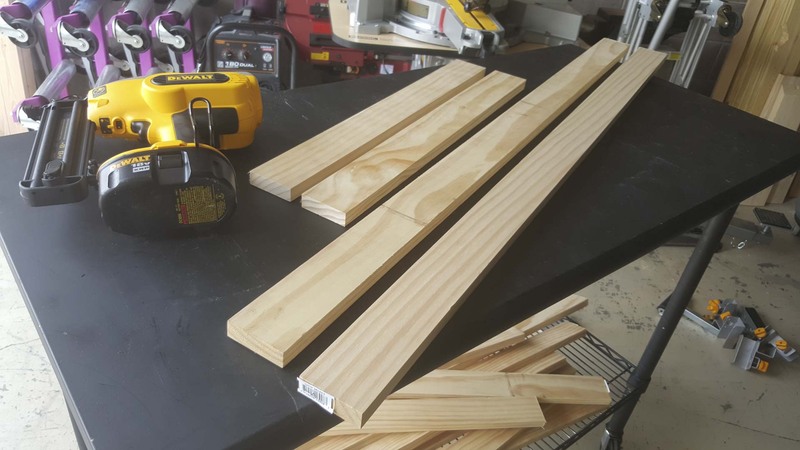 You need to cut two of them to exactly 24” and two of them to exactly 49 5/8” This will ensure that when you put them together they’ll fit snuggly around the acoustic panel. 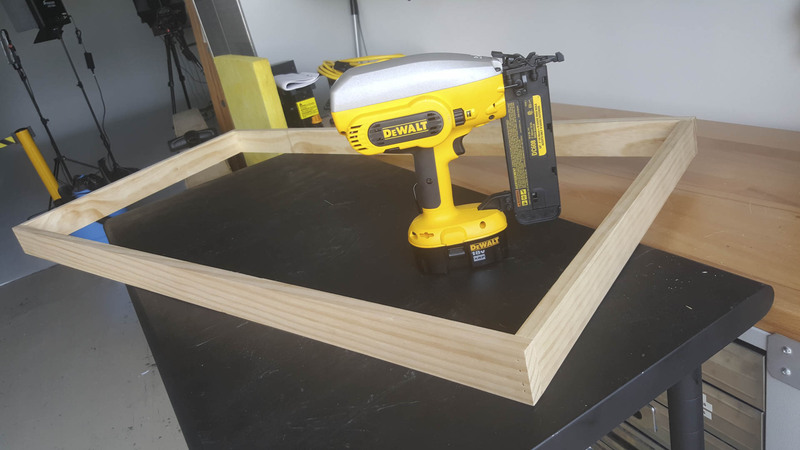 I used a power saw, but you could just as easily get a cheap miter saw box kit from WalMart or Amazon and do it by hand. With the frame pieces cut, it’s time to assemble. Now this is VERY important. Make sure that the 24” sections are inside the 49” sections so the panel fits inside. I used a nail gun, but you can use wood screw. 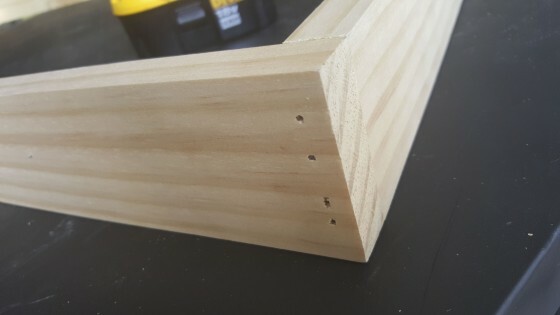 Be sure to drill pilot holes if you screw em so the wood doesn’t split. I also find it makes life easier if you have a right angle clamp, but if you don’t, you can brace the project against the wall when you nail or screw into it. Next, drop the acoustic panel into the frame – it should fit snugly. And by the way, you should wear breathing protection and gloves when handling fiberglass. At this point you’re ready to trim the fabric you want to use as the cover. 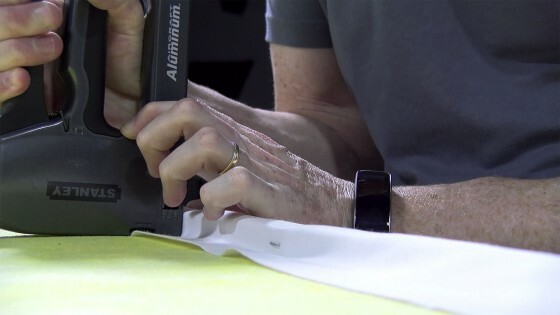 I got some thick plain white fabric at WalMart for about $4 a yard, and you need to trim it so that you leave enough room for the fabric to wrap completely around and staple it inside the frame. Place the fabric on bottom, and make sure and keep it pretty tight as you fold it over each edge and staple it in place all the way around. After the front cover’s in place, get yourself some cheap landscape fabric and staple it in on the back. 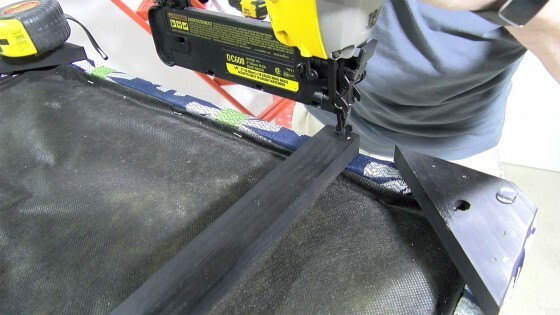 This will keep the fiberglass covered so fingers aren’t touching it, and so the air conditioner isn’t constantly circulating microscopic bits of it throughout the room. Install a Mount and Hang the Acoustic Panel! At this point, you’re basically done! My recommendation is to either make yourself a nice French Cleat style mount for the back, or buy a cheap little one so that you can level up the mount on the wall, and then just drop the baffle onto it and it will be exactly where you want it, and perfectly level. For my nicer sound baffle I cut out little feet and made a french cleat to allow it to float off the wall about an inch. This improves the sound absorption a bit and looks nice. Combine that with a custom fabric selection to match your decor, and you’ve got the equivalent of a $250-300 custom panel for around $50. Hope that helps out! If you build some Tweet me a photo to @johnpoz so I can see what you did! That’s it for this episode. The links to all the parts, along with more photos and step by step instructions are at geekbeat.tv/1092. I’m John P. Thanks for watching. Roxul, also known as stone wool, it one of the very best sound dampaning materials. 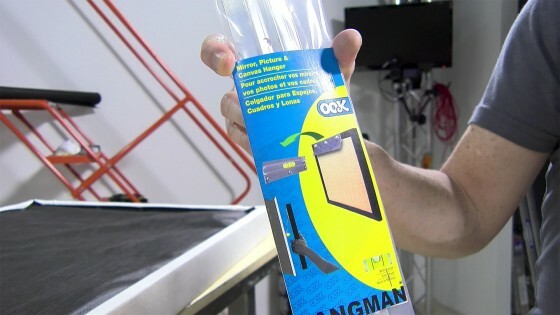 Or you could just buy some 4″ thick owens and get Ready Bags (suede-like zipper bags), then stuff em – works AMAZING – I have 6 in my recording studio – total cost about $300 (about $50 each). https://www.readyacoustics.com you might have to call them, used to be listed on their web site. A lot less labor and 4″ is a lot more effective. Keep them off the wall about 4″ or more if you can. Great option Justin. Thanks for the tip!